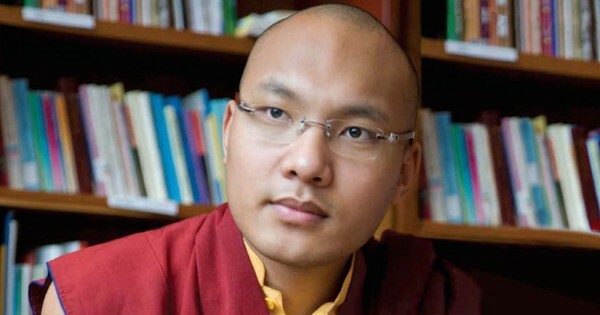 (TibetanReview.net, Mar06’16) – As Tibetans mourned and prayed for two young Tibetans, one each in Tibet and in exile, who had torched themselves and died on Feb 29 in protest against Chinese rule in their homeland, the 17th Karmapa Ogyen Trinley Dorje, head of the Karma Kagyu lineage of Tibetan Buddhism, has called for an end to such type of protest action. Noting that “two young Tibetan children, one in Tibet and one in India,” had burned themselves to death during the week, he has said the events had pained him deeply. “I could not bear to think of it when I heard the news, and for that reason I want to make a request of my fellow Tibetans at home and abroad,” rfa.org Mar 4 quoted him as saying. He was referring to the self immolations of 16-year-old schoolboy Dorje Tsering in north India and 18-year-old monk Kalsang Wangdu of Maretsokha Aryaling Monastery in Nyagrong (Chinese: Xinlong) county of Karze (Chinese: Ganzi) Prefecture, Sichuan Province. The Karmapa has noted that despite the self-immolations by nearly 150 Tibetans in and outside Tibet to make a strong statement against Chinese rule and call for Tibet’s independence, no one in the international community had responded in ways that help the Tibetan cause. The Department of Religion and Culture of the Central Tibetan Administration on Mar 5 organised a prayer service for the Tibetan self-immolators as well as for 49-year-old Tibetan musician Dubey who died on Feb 27 after an illness.